I never really mentioned that I picked 14 lbs. of Blueberries this Summer! LOL It might seem a little absurd to pick so much, but we use them in everything ALL Fall and Winter long. 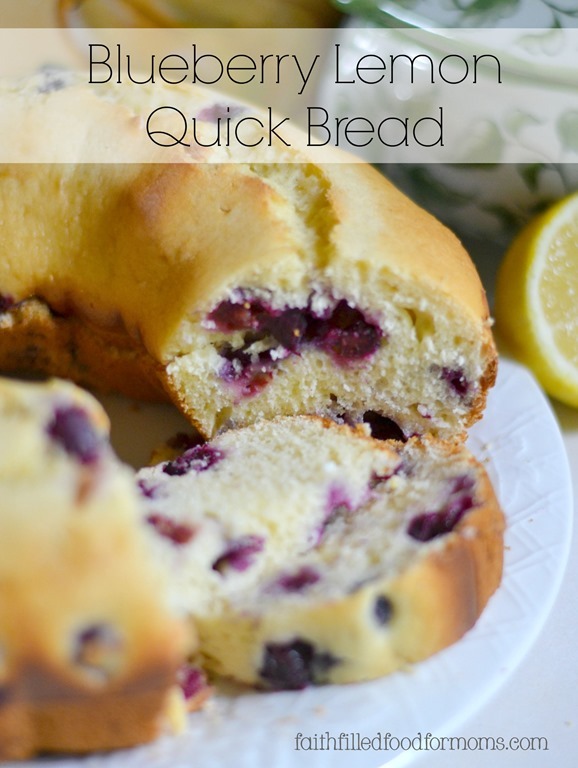 I LOVE making all kinds of homemade bread recipes like in this Blueberry Lemon Quick Bread Recipe! Blueberries have HUGE health benefits and every time I add a little here and little there, I honestly notice a boost in our immune system and energy. 5 PIN FOR LATER MY FRIEND! 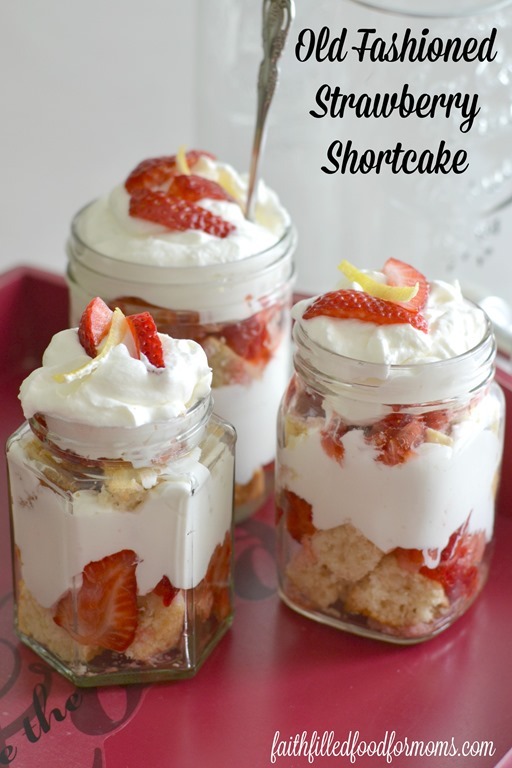 7 How to make Old Fashioned Strawberry Shortcake! Blueberries are POWERFUL antioxidants and help fight off such disease’s as Cancer, Heart disease, Diabetes. Blueberries have tons of Fiber, so it helps lower cholesterol and helps to keep you fuller longer (think weight control) along with keeping a healthy digestive track. 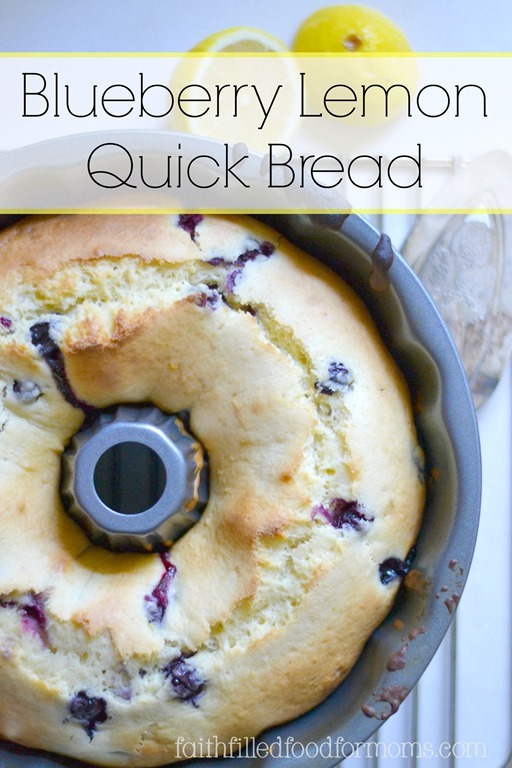 This very simple Blueberry Lemon Quick Bread recipe uses very simple ingredients and is deelish! 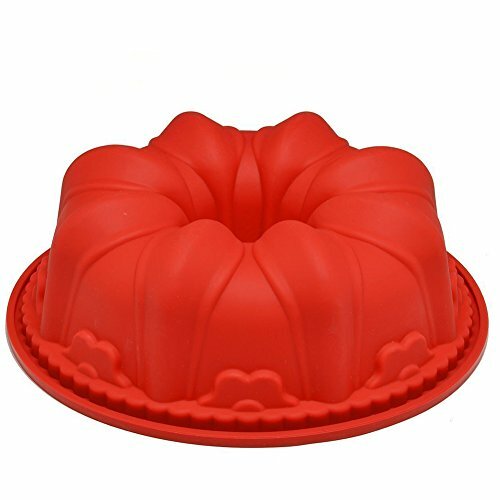 I just bought a new Silicone Bundt Pan and have used it a couple of times since making this recipe! Can I just say…LOVE! I’ve kind of turned into a Silicone lover when it comes to cooking utensils! They are so easy to clean (the easiest) and can stand up under high heat! Stir together wet ingredients…Milk, Eggs, Oil, Applesauce, Lemon juice and Zest. 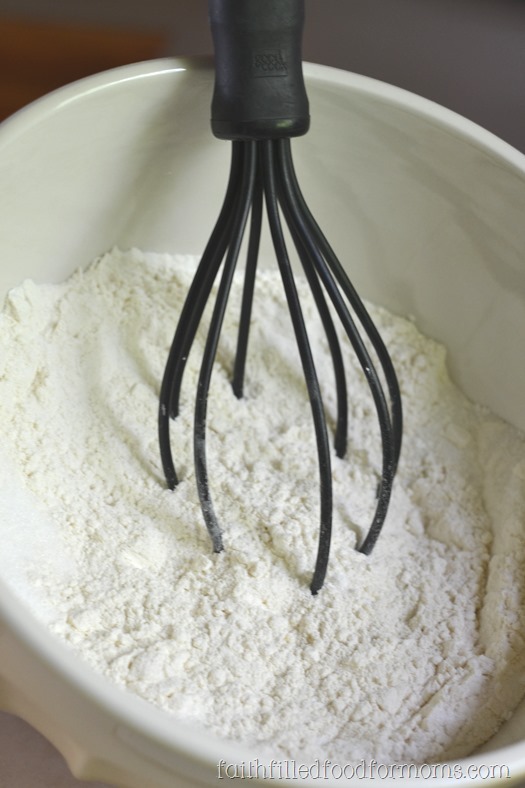 Mix together wet and dry ingredients…don’t over stir. 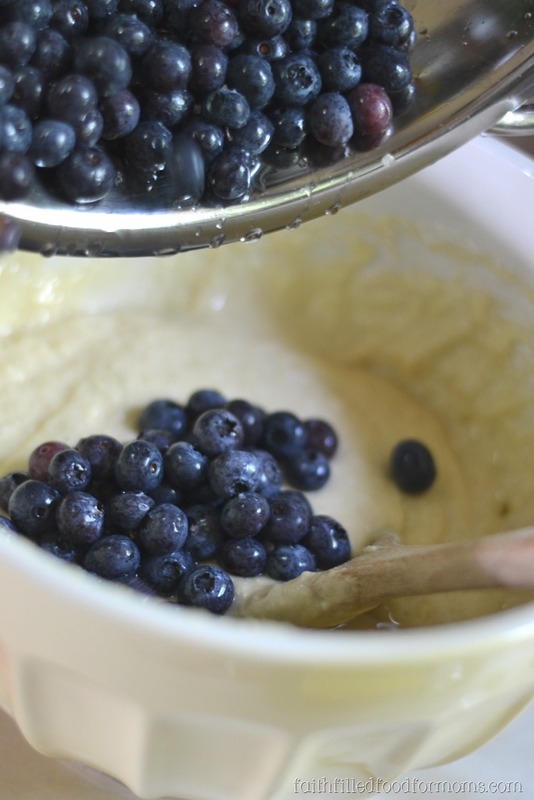 Tip: I like to add partially frozen Blueberries because they are easy to stir without having them all break up and turn the whole batter blue. Although that’s not a bad thing! 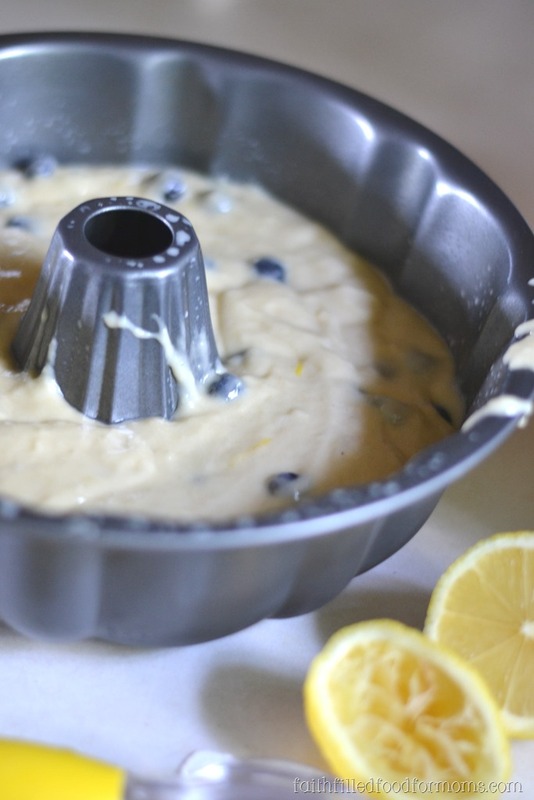 Now pour into a Bundt pan or use 2 loaf pans that have been sprayed lightly with cooking oil. 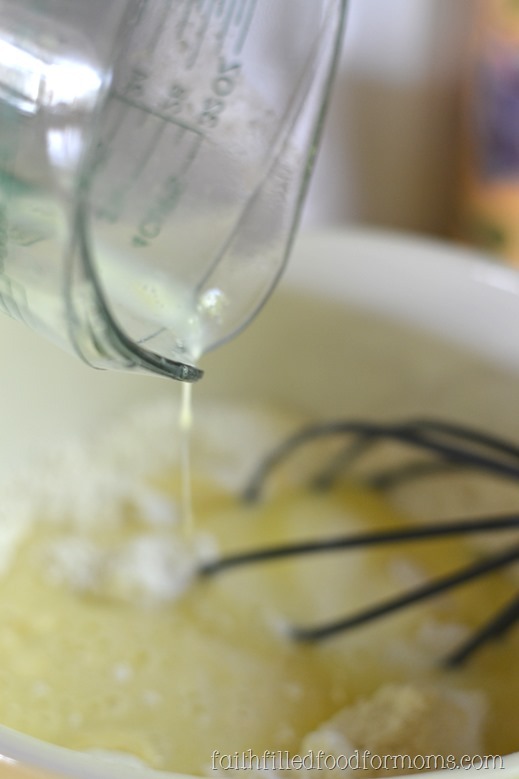 Favorite Whisks ~ There are so many sturdy and great whisks out there but my favorite ones are the silicone ones. You can get more use out of a silicone whisk since you can use with hot or cold! PIN FOR LATER MY FRIEND! 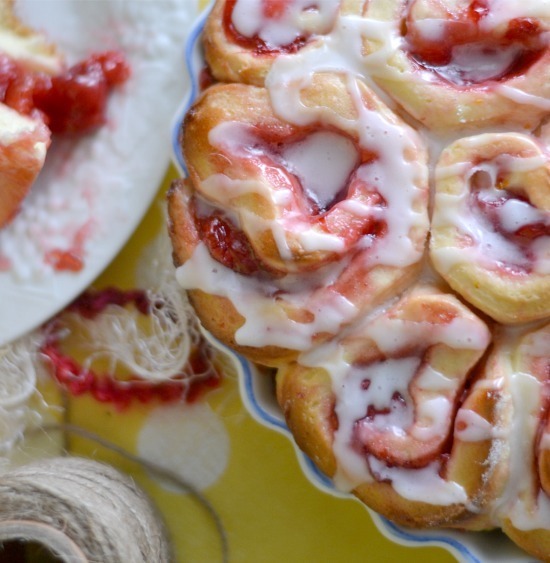 Vintage Sweet Rolls recipe! A family favorite for many years. Add any filling or serve with original simple glaze. How to make Old Fashioned Strawberry Shortcake! This looks amazing. Pinning so I can try it next year when I have blueberries again. Looks simple enough to make! DO you think frozen blueberries would work? Hardly can get any fresh ones where I am. If there are, they would be so expensive! Frozen blueberries would work really well. Just don’t defrost them first. This looks yummy, Shari Lynne! I like the presentation of it in bundt form. Stopping by from Making Memories Monday. Wow, 14 lbs of blueberries! I would so do something like that. I have been using them in everything lately, too. This recipe looks delicious. Using blueberries in baking is the best! Wow. I really am making this asap! This is so perfect for my Moms’ Prayer Meetings! Love it! Pinned! Coming to you from #EspressosofFaith via #MomtoMomMondays! Pinned and saved to Facebook! Found you on Tickle My Tastebuds Tuesday blog hop! This looks yummy! I’ve pinned so I can give it a try! What can I use in place of Applesauce as I don’t have on hand. Hi Deb! Sorry so long in getting back to you..I’ve had the flu 🙁 You can use an equal amount of cooking oil. 🙂 Thank you for stopping by! Happy Mothers Day! Thank you for sharing this delicious recipe at the #RecipeSharingParty! I hope to see you next week. Pinned and Yummed. Please visit #OverTheMoon on Sunday or #ThursdayFavoriteThings for more sharing fun! Don’t forget to Comment your link #’s so I can be sure to visit and you get a chance to be featured! I love bundt cakes and the lemon and blueberry combination. This looks delicious! Stopping by from Motivation Monday and hope you’ll linkup with us at Small Victories Sunday Linkup too, open all week long! Your recipe looks delicious and very healthy except for the Suger . Do you know if honey and how much would work in this recipe.? Hi Twinkle!! Yes Honey is totally great to use with this recipe! Thanks for stopping by! What kind of flour? All purpose or self rise?